When distinctive wines show up in an unusual setting, chances are good that the restaurant industry’s best and brightest are on the scene. Last month, the team at Oleana in Cambridge took its show on the road — specifically, to Little Bird Events in Norwood, a chic new venue housed in a transformed warehouse space. Chef-owner Ana Sortun, together with wine director Theresa Paopao, hosted a cooking demonstration and wine tasting for a sold-out crowd. The class focused on the fragrant spices of the Eastern Mediterranean, the kind that Sortun first encountered on a trip to Turkey in the late ’90s. At Oleana, now celebrating its 18th year, the James Beard Award-winning chef continues to put these seasonings to delicious use. Home cooks in the audience leaned forward to watch Sortun season a dish of scallops with sumac and Urfa pepper. They scribbled notes and asked questions as she discussed the camphor-like properties of dried mint, which she blended with cinnamon, coriander, cumin, and other spices for a chicken dish. Happily, several wines — including a Tuscan grenache-carignan blend, an Alsatian gewürztraminer, and a lively Greek malagousia — were part and parcel of the evening. Paopao taught the basics of how to taste, offering down-to-earth examples of acidity, body, and finish, highlighting how different pours interacted with Sortun’s small plates. Both the chef and the sommelier invited the audience to consider wine in new ways. Sortun proposed thinking of wine as a spice. Wine adds dimension, she explained, just like seasonings deepen the flavors of food. Paopao encouraged attendees to think of wine as a garnish, adding a final flourish to a dish. Their ideas build on the notion of wine as a sauce, discussed by Paul Bertolli and Alice Waters in the 1988 classic “Chez Panisse Cooking.” Like a sauce, wine accents and enhances, making ingredients more than they were before. 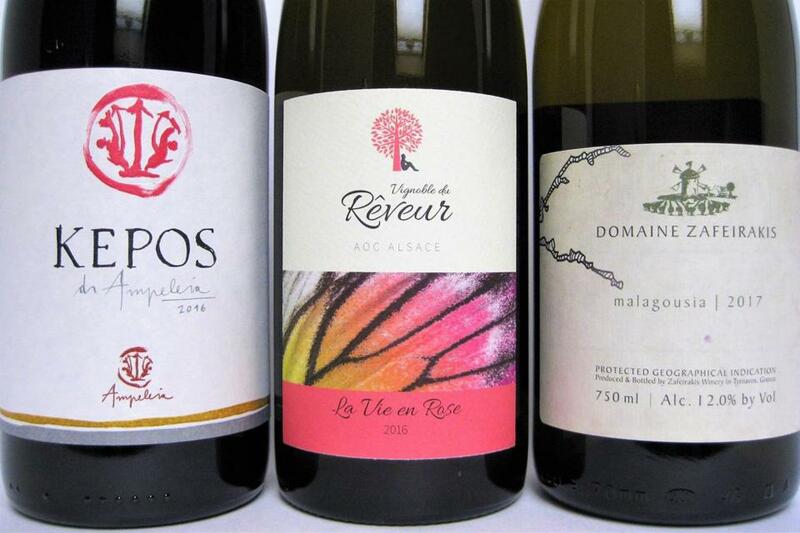 Whether you regard wine as a spice, a garnish, or a sauce, the three bottles presented by Paopao (detailed in my tasting notes below) illustrate how particular wines amplify food that is rich, bright, and complex. And because each pour is free of heavy-handed oak, excess alcohol, or cosmetic manipulation, there is nothing to distract from the pleasure of gorgeous, spice-infused flavors. Ampeleia “Kepos” 2016 Grenache, carignan, and alicante bouschet, grown in the hills inland from the Tuscan coast, are crafted into something exceptional by Elisabetta Foradori and her collaborating partners. Lithe and supple cherry fruit combines with appetizing bitterness and gentle grip. Around $25. Craft & Cru, Milton, 617-322-1162; Urban Grape, South End, 857-250-2509. Vignoble du Rêveur “La Vie en Rose” 2016 Crafted by Mathieu Deiss, working at his family’s winery Domaine Marcel Deiss in Alsace, this fruity-yet-dry gewürztraminer is beautifully multidimensional, offering lychee and rose petals in a silky, attractively weighted sip. Around $27. At Porter Square Wine & Spirits, Cambridge, 617-547-3110; Streetcar Wine & Beer, Jamaica Plain, 617-522-6416. Domaine Zafeirakis Malagousia 2017 This vibrant Greek white is crafted by fourth- generation winemaker Christos Zafeirakis from malagousia grapes, grown in the foothills of Mount Olympus. It offers scents of white floral, ripe peach, and green herbs, leading to a tangy, citrusy-fresh palate with a hit of salt. Around $20. At The Wine Press, Fenway, 857-233-4872; Streetcar Wine & Beer. Ellen Bhang can be reached at bytheglass@globe.com.